Nutri-Min is a probiotic colloidal mineral complex containing over 73 trace elements derived from brown coal formed over 200 million years ago from vegetation which was growing in a balanced equilibrium unaffected by industrialization and human mismanagement. The coal is burnt and the ash used as a nutrient for lacto bacilli under conditions and procedures which are the manufacturers proprietary information. The lacto bacillus absorb the minerals present in the ash and convert them to an organic colloidal estate. 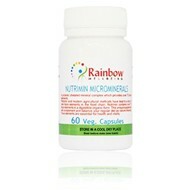 Formulated for human consumption in an easy to swallow vegetable capsule, suitable for vegetarians. The formula includes minerals and other inportant natural active ingredients.This product should not be confused with the man made multi-minerals, colloidal organic minerals salts are totally bio-available to the body with a much broader spectrum, hence its 73 micronutrients. Many people nowadays take a vitamin of some description, however it is a fact that in order to have the vitamins work correctly and in harmony with the bodyÃƒÂ¢€Ã¢â€žÂ¢s systems it needs minerals, since minerals are the building blocks of all substances. 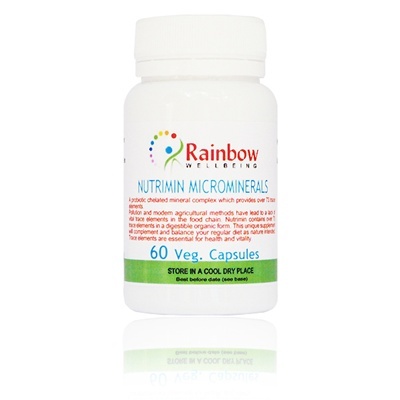 Each vegetable capsules contains; 310mg colloidal minerals in real food state, 200mg Glucosamine Sulphate, 100mg MSM (Organic Sulpha), 24mg Boron and 16mg Probiotic colloidal minerals.